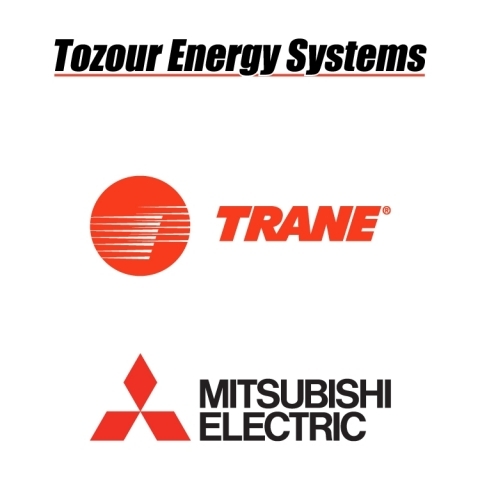 Tozour Energy Systems offers Mitsubishi Electric Trane HVAC products and services to clients in Greater Philadelphia and South Jersey. The systems sold will be highly efficient, variable-speed mini-split, multi-split and VRF air conditioners and heat pumps for commercial projects including office complexes, hospitals and universities. Product lines offer design flexibility for any application, from modern designs to historic renovations. Tozour’s expertise will utilize the offerings in projects from the smallest spaces to the largest structures and multi-building campuses. Tozour Energy Systems is a full-service HVAC and building automation provider based in King of Prussia, Pa., and is a franchise of Trane, a business of Ingersoll Rand. The company provides customers with a diverse range of solutions including building automation, equipment services, energy conservation services, green building design, controls, parts, supplies and responsible technical support throughout Pennsylvania and New Jersey. Named one of the “Best Places to Work” by the Philadelphia Business Journal, Tozour Energy Systems is a member of Green Building United. For more information, visit tozourenergy.com.